You know christmas is just around the corner when you start seeing Christmas themed coffees everywhere and I mean it ! It’s beginning to look (and taste!) 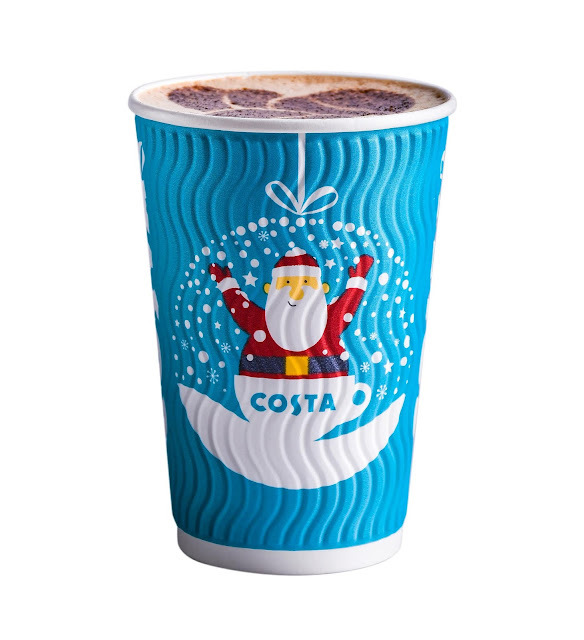 a lot like Christmas because nothing spells Y-u-l-e-t-i-d-e more than COSTA COFFEE spreading festive cheer! 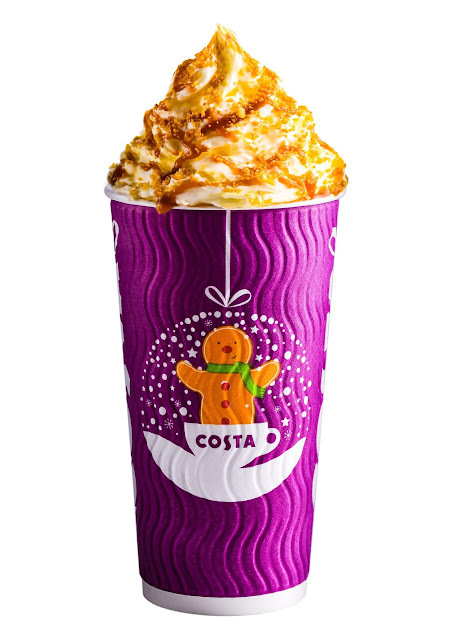 It pulled out all the stops as it launches festive drinks, cakes and pastries that are the perfect reasons to indulge this season, #Londonstyle! Warm up to six new hot drinks and Frostino flavours including last year’s Christmas favourite, the Billionaire’s Hot Chocolate and the well-loved Golden Hazelnut Chocolate Frostino. Billionaire’s Hot Chocolate oozes with layers of luxurious caramel sauce, chocolate, and is topped with shortbread crumbs while the Golden Hazelnut Chocolate Frostino provides the extra chocolate boost you’ll need to keep your sugar rush at pace with the Holiday rush. 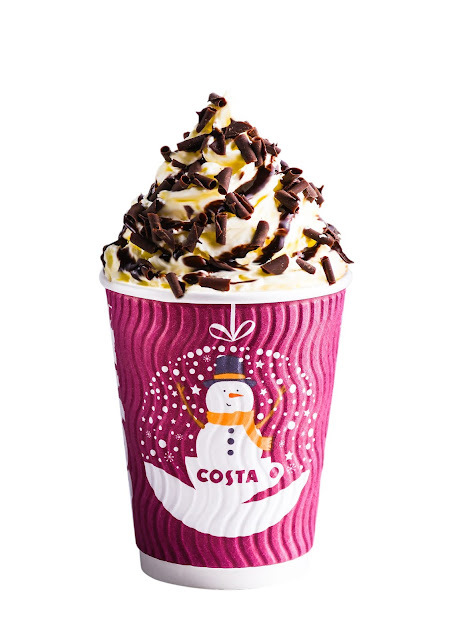 Two other reasons to warm up or get cold and cuddle during this nippy season are the Salted Pistachio Mocha, available both hot and in Frostino; plus the new Golden Hazelnut Hot Chocolate, another chocolate-y choice with heaps of Holiday decadence. 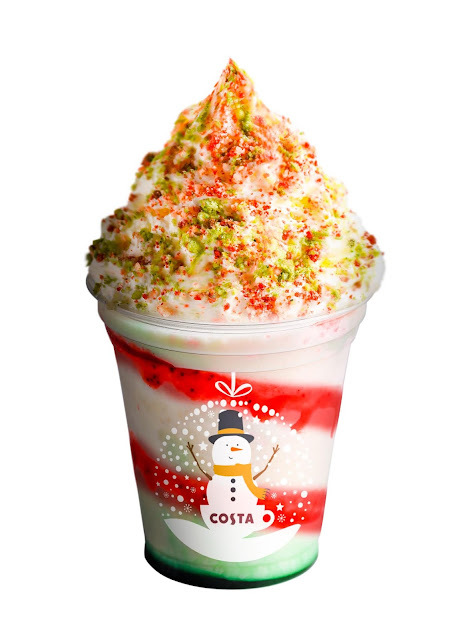 Finally, treat yourself to a Candy Cane Frostino, your favourite frostino peppered with colorful candy cane sprinkles. 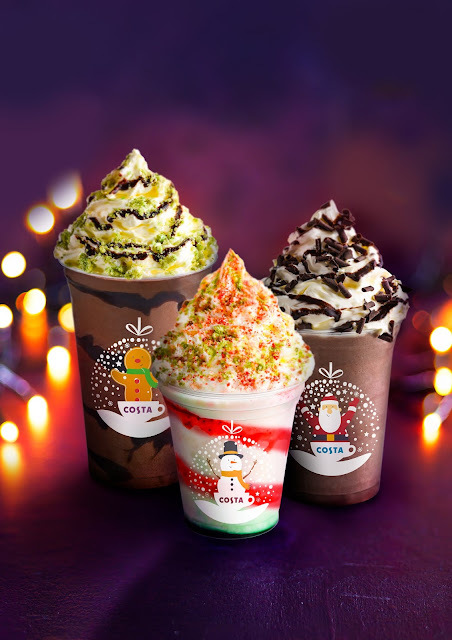 All these delicious drinks are served in eye-catching festive cups that features cute characters such as the snowman, gingerbread man & Santa Claus himself. custard filling. 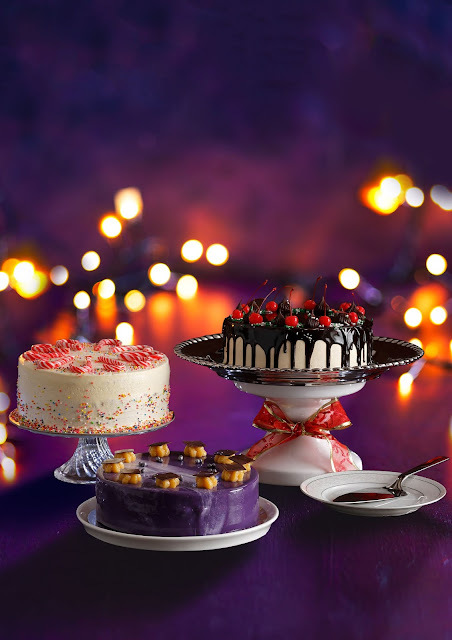 The Choco Mint Cake, meanwhile, is a seriously rich chocolate cake with peppermint cream filling and topped with Maraschino cherries. But if you want simple and nostalgic sweetness, the Candy Cane Cake (vanilla cake with cream cheese frosting and topped with sprinkles and candy cane) is a good pick. Enjoy a classic favourite with a twist when you bite into the Cheesecake Yule Bar, coated with chocolate ganache. Or sink your sweet tooth into the chocolate-coated Gingerbread Cookies stuffed with cream cheese.